The tour is in full swing and the harsh winds are rolling it. It can get quite turbulent on your mountain bike or road bike. That is when you need clothing that can provide effective weather protection and full freedom of movement. 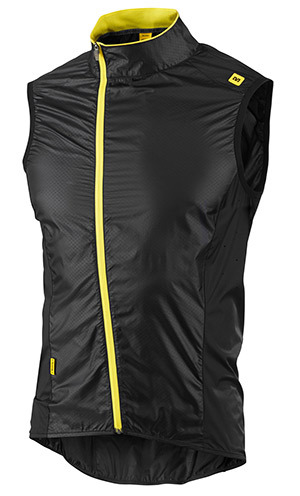 Cycling vests are lightweight, non-restrictive and really powerful. Cycling gilets are a vital piece of bike equipment along with your helmet, cycling gloves and comfortable cycling trousers! What do cycling gilets do? Cycling gilets come into play when it is too mild for warm cycling jackets! A good cycling vest needs to have some important features. No cyclist wants to have any unexpected nasty surprises on the go! The most important: weather protection. Cycling vests are protected against wind and moisture and keep cyclists dry in light rain showers. Some models are also completely windproof. This means icy winds simply bounce off the vest like on any good wind jacket or vest. Breathability is also very important, as even the most experienced cyclists will break into a sweat on more challenging tours. A high quality cycling gilet will have no problem with this! This guarantees a comfortable, dry skin climate, even on the most demanding stages. When it comes to packed dimensions, cycling vests are top of the pile. They are very easy to pack (some models come with a stuff sack) and can be folded very small. They will fit into the smallest space in a full saddle bag. Good visibility is an essential safety factor in poor lighting conditions. Reflective elements allow you to be seen in twilight hours or foggy conditions. Anyone who enjoys nighttime cycling will love these, as they are designed in signal colors for this purpose. Safety first! Wind resistant, water repellent, lightweight and breathable - cycling gilets are very useful companions! No matter which vest a cyclist goes for, well-known manufacturers like Endura, Pearl Izumi, Löffler, Mavic or Maloja will all impress with their fantastic quality and functionality. Cycling vests are available for men, women but also for your little ones. If you are buying new clothes for your next tour, be sure not to forget a cycling gilet. And thank us later!